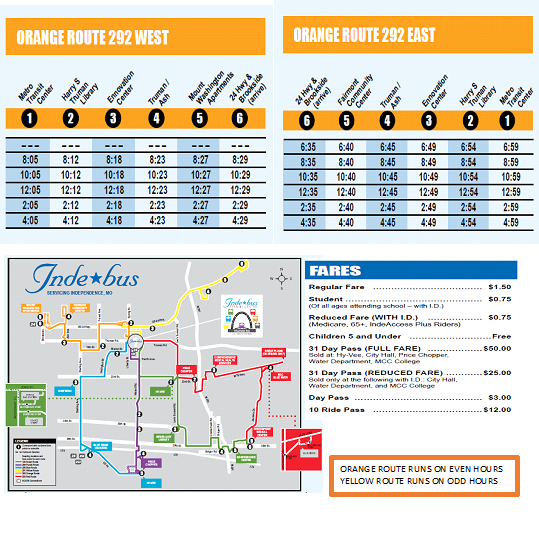 From Transit Center, the Orange Route will travel north on Noland to Hwy 24, West to Forest, South to Truman, West to Sterling, North to Hwy 24 and west to Brookside. 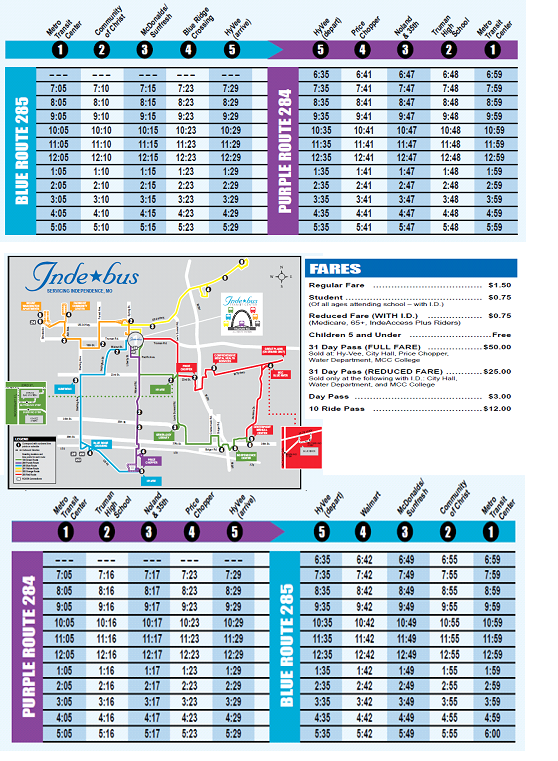 From Brookside, the Orange Route will travel east on Hwy 24, South on Sterling, East on Truman, North on Forest, East on Hwy 24 and turn south on Noland to the Transit Center. From Susquehanna Ridge / Fairview Drive the Yellow Route will travel west on 24 Hwy and turn south on Noland to the Transit Center. 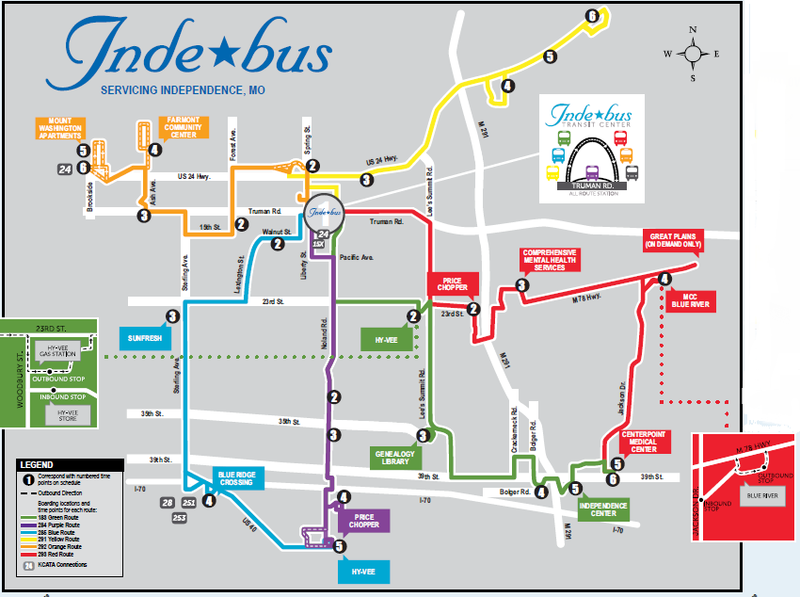 From Transit Center, the Red Route will travel East on Truman, South on Lee’s Summit, East on 23rd and turn into Price Chopper. It will return to 23rd and travel to MCC. 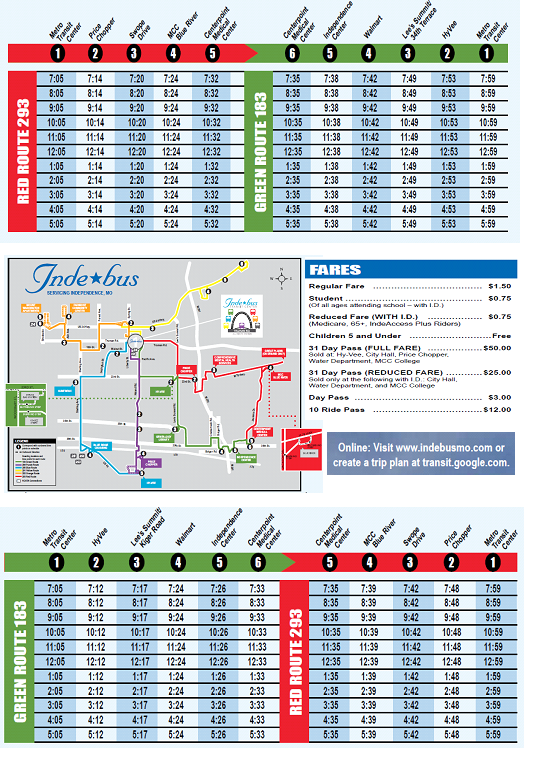 Travel between MCC and CenterPoint will remain the same as regular service. 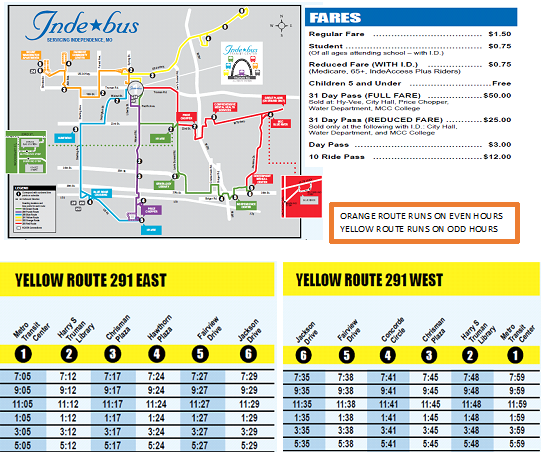 From MCC the Red Route will travel west on 23rd to Price Chopper. From there it will travel west on 23rd, North on Lee’s Summit and West on Truman.